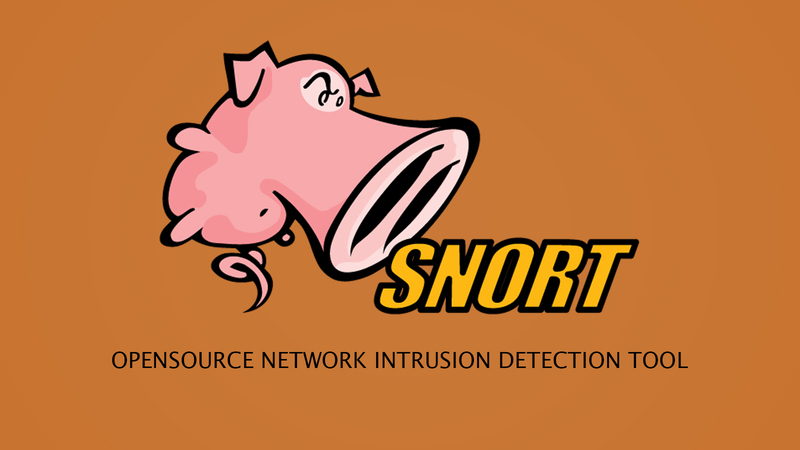 Snort is an open source, lightweight network intrusion detection program for Windows and Linux platforms. It has the ability to perform real-time traffic analysis and packet logging on Internet Protocol (IP) networks. It can detect various kinds of attacks and probes, including, but not limited to, operating system fingerprinting attempts, common gateway interface, buffer overflows, server message block probes, and stealth port scans. Sniffer mode - It reads the packets off of the network and displays them for you in a continuous stream on the console (screen). Packet Logger mode - It logs the packets to disk. Network Intrusion Detection System (NIDS) mode - It performs detection and analysis on network traffic. This is the most complex and configurable mode. This command will run Snort and just show the IP and TCP/UDP/ICMP headers, nothing else. This instructs Snort to display the packet data as well as the headers. Note: The command line switches can be listed separately or in a combined form. Of course, this assumes you have a directory named log in the current directory. If you don't, Snort will exit with an error message. When Snort runs in this mode, it collects every packet it sees and places the packets in a directory hierarchy based upon the IP address of one of the hosts in the datagram. 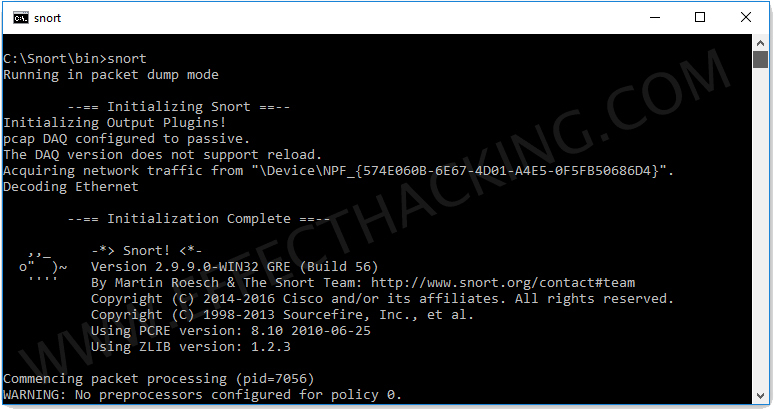 This rule tells Snort that you want to print out the data link and TCP/IP headers as well as application data into the directory ./log, and you want to log the packets relative to the 192.168.1.0 class C network. All incoming packets will be recorded into subdirectories of the log directory, with the directory names being based on the address of the remote (non-192.168.1) host. Note: If both the source and destination hosts are on the home network, they are logged to a directory with a name based on the higher of the two port numbers or, in the case of a tie, the source address. Note the command line changes here. We don't need to specify a home network any longer because binary mode logs everything into a single file, which eliminates the need to tell it how to format the output directory structure. Additionally, you don't need to run in verbose mode or specify the -d or -e switches because in binary mode the entire packet is logged, not just sections of it. All you really need to do to place Snort into logger mode is to specify a logging directory at the command line using the -l switch--the -b binary logging switch merely provides a modifier that tells Snort to log the packets in something other than the default output format of plain ASCII text. where snort.conf is the name of your snort configuration file. This will apply the rules configured in the snort.conf file to each packet to decide if an action based upon the rule type in the file should be taken. If you don't specify an output directory for the program, it will default to /var/log/snort. One thing to note about the last command line is that if Snort is going to be used in a long-term way as an IDS, the -v switch should be left off the command line for the sake of speed. The screen is a slow place to write data to, and packets can be dropped while writing to the display. It is also not necessary to record the data link headers for most applications, so you can usually omit the -e switch, too. This will configure Snort to run in its most basic NIDS form, logging packets that trigger rules specified in the snort.conf in plain ASCII to disk using a hierarchical directory structure (just like packet logger mode).